Home Back Office Exactly Why Do You Need Outsourced Customer Support Services? In today's markets you aren't only looking to reach more customers, but you also have the duty to keep your current customers happy so they can stay loyal to your company and product and keep using your services or buying your new products. A loyal customer is a company's most important asset. If you keep your current customers loyal they will bring with them more customers and even spread the word better than a bunch of marketing campaigns. They will get your name out there and you will have a good reputation between the potential customers. Getting new customers is of course a priority for any business to expand and make more money, but that doesn’t mean forgetting about your already loyal customers. If you don’t take care of the customer that bought from you once, he will not buy from you again and might spread a bad word about your service or product. So, it is important to keep the customer satisfied and happy to ensure more business with them and ensure that you have their loyalty rather than them using the competitor's product or service. How can you keep the customer loyal? Well the most important thing for a customer is to get help from the company when they need it. When a customer picks up the phone and starts dialing the company's number they expect that they will get all the answers they need in a matter of seconds. They expect a good treatment and a customer service that will listen to their opinion. What’s the point of spending thousands on marketing campaigns if you are going to lose all the customers you make in a matter of months? You shouldn’t only focus on making new customers but also on making sure the old ones and loyal ones are happy. The customer likes to get their opinion heard and feel like they are cared for. After they end the call they must have a better opinion about the company because they just experienced a good treatment and got all their questions answered. But how can you expect to get the customers satisfied if you don’t have a good customer service or experienced customer service representatives? Working as a customer service representative is a hard job. The job has a high turnover rate because of people not being able to deal with customers. Dealing with customers isn't easy and requires training and ability to deescalate situations and making sure the customer leaves happy no matter what their issue is. So, you end up running a department full of nightmares, with high turnover rates for employees and high costs of training and not to mention the infrastructure and equipment needed to maintain a good customer service. It is a nightmare that every business has to go through to make sure their customers are satisfied, either it works or the department fails miserably only making the customer less and less satisfied and unhappy with the company. But don’t worry there are alternatives, you don’t need to spend fortunes on setting up equipment or freeing an office spaces. You don’t need to spend a lot of time trying to manage the department and resolve clients' issues yourself because your representatives aren't able to handle the situation. A lot of companies right now have started outsourcing their customer services to companies abroad that are able to handle it well and better than them. Outsourcing customer service have become one of the most popular things between companies, big ones and small ones. It is always a win-win situation, you get to keep the customer happy and even save more money doing it. How to outsource customer service phone calls? Now you might be wondering how it works? Well basically there are companies abroad that are able to handle your customer service needs for a way lower price than you can imagine. Countries like India and Philippines have a lower living cost than most countries so you will be paying less for experienced companies that have been in the business for years. You might be thinking that it won't be as high quality as you expect but don't worry, outsourcing call center services has a lot of benefits that won't disappoint. 1) More than just telephone calls. In the internet age we live in, customer service isn't only done on the phone. Customer service is done on a lot different platform now such as live chat support on the company's website or email, or even social media. Companies are able to use all those methods efficiently and make sure your customer can reach the company on more than one platform, they can choose what comforts them the most. So, if the client isn't able to use the phone for any reason, they can simply ask their questions or reach you on the social media page that the outsourcing company will be running for you. You must give the customer the choice and make them feel comfortable. Providing for the customer more than one platform to reach you on will make them feel more appreciated and will give the right impression that the company cares and needs the customer's opinion. 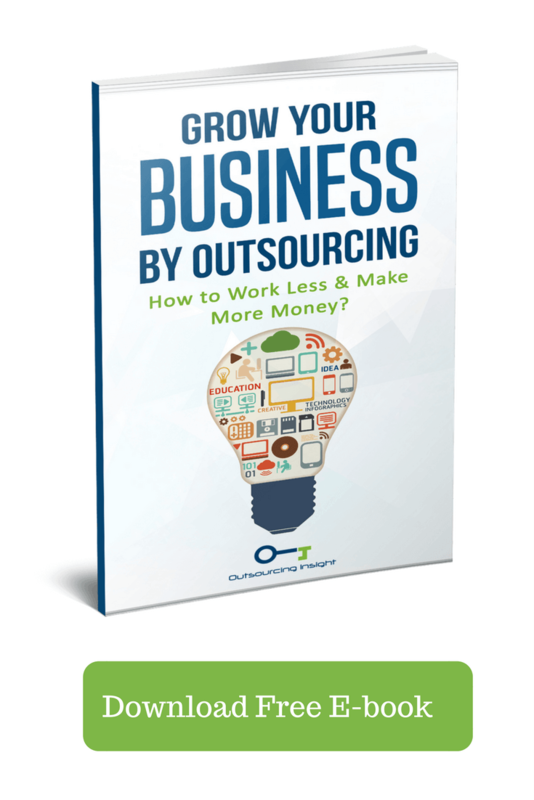 So, don’t worry outsourcing companies have mastered that art and will be able to implement it on your business. You might be thinking that because you are sending your work abroad, you will be faced with problems such as cultural differences or even problems regarding the experience of the work force. Well, simply you don't have to worry about that. These companies take very good care and they are very cautious in their hiring processes. So, don't be thinking that these companies don’t care about the quality or the representatives that will be representing your company. Outsourcing companies hire and train the most experienced representatives that are able to deal with customers and deescalate situations. You will rarely hear a complaint from a customer about the representatives as they have been in this business for a while and know how to make the company leave happy and satisfied. And regarding cultural differences, you can rest assure that you don’t have to worry about that. These representatives have talked and dealt with people from all over the world and understand cultural differences and are able to adapt and deal with your customers on the grounds you require. 3) Less pressure on administrative staff and yourself. You see, an obvious benefit of outsourcing the customer service department is that you will gain a lot more time to focus on making more new customers and improving your product or service. Your bottom line will see a noticeable improvement and your company will be generally, more productive. With loyal satisfied customers, less pressured staff and your mind focused on the right things, your company will surpass competitors for sure. Outsourcing customer service has been done by large corporations and there are plenty of studies that have proven its effectiveness and it having a positive effect on the company in general. If you want to stay ahead of your competitors, you will have to take steps like these to cut costs and improve your company's productivity. With your company focused and the effort done to improve the service or product, you will be noticing an increase in demand and your whole operation will be scaling up. You won't need to worry about getting more office space or hiring more representatives to meet with the demands of the customers and their questions. Outsourcing companies will be able to scale up with your operation and even scale down in case you are having a slow year. Outsourcing companies are able to scale and provide you with exactly what you need with the amounts you ask for. Outsourcing companies will be able to monitor the calls and gather data from them, such as the most asked questions and the things that annoy customers the most about your product or service. The customer’s opinions will be entered in a database and analyzed to figure out what they need the most and what changes they would be happy to see in the product. 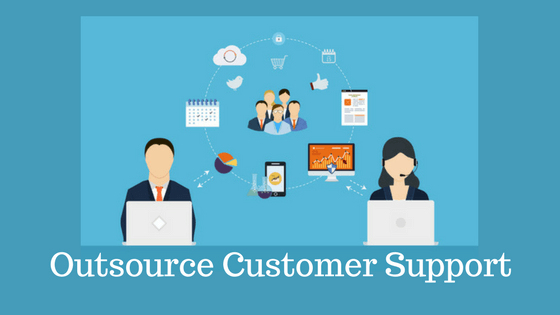 It isn't easy winning everyone over but with the resource outsourcing companies have and the strategies they use, you most definitely will keep the most of them satisfied and get useful opinions about your product or service. Outsourcing you customer service needs will only have positive impacts on your company. Companies like Outsourcing Insight are able to provide work tailored for your needs and business. Outsourcing Insight will provide customer service that will keep your customers happy and pleased to do more business with you.